A new medical research model based on pigs closely mirrors similar clinical case studies in humans - and could shed important light on ulcer treatment. Using a research model based on pigs, rather than mice, could be a useful way for scientists and doctors to develop more effective treatments for inflammatory gastrointestinal conditions. Scientists at the Virginia Bioinformatics Institute have developed a new model that could offer important insight into the way peptic ulcer disease is treated. Previous studies have been carried out on mice, but the digestive tract of a pig is more similar to the human stomach - and may provide more detailed information on how the immune system interacts with certain types of internal bacteria. In the US alone, approximately four million people suffer from peptic ulcer disease, which is thought to be caused by the bacterium Helicobacter pylori - or H pylori, as it is often referred to. While this bacterium is found in more than 50 per cent of the world's population, only a handful of people develop chronic inflammatory digestive conditions as a result - and researchers are keen to find out why. 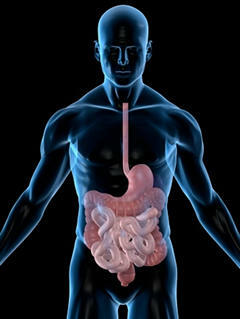 A research model that more closely represents the human stomach has the potential to offer clues about the signs of this condition, as well as better treatment options for patients. "The results from our new pig model closely mimic what has been reported in clinical settings, which will allow us to comprehensively and systematically investigate human immune responses to H pylori," said Raquel Hontecillas, co-director of the Nutritional Immunology and Molecular Medicine Laboratory and the Center for Modeling Immunity to Enteric Pathogens. However, this is not good news for pigs, who are sentient and sensitive beings. Fortunately, there is a way to boost the health of the digestive system and ward off any unsavoury conditions without terrible cruelty using a supplement such as Botanical Stomach Complex from The Really Healthy Company. This product is completely vegetarian. The broad spectrum stomach and digestive support - which is taken three times daily, preferably before meals - contains nutrients from natural plant extracts, which help to break down proteins and balance digestion all-round.